WOWZA...Love, Love, Love, Love, CRAZY LOVE!!! If I could some how put music to this post, I would. This AMAZING line by Bo Bunny makes me want to get up and dance! So excited was I when the box of goodies arrived, I called my neighbor and said "GET OVER HERE....I have your new favorite product line spread out all over my dining room table." The line is made up of 11 double sided cardstock weight papers and one die cut single sided cardstock weight paper. There is a BRILLIANT little notebook of journaling spots (which I turned into the niftiest little mini book). And the embellishments are endless....buttons, brads, chipboard, stickers, and runbons. First I was so wooooed by the colors (bold, striking and the tiniest bit grunge....not overly grunge mind you), then I was drawn in by the many layers of pattern. 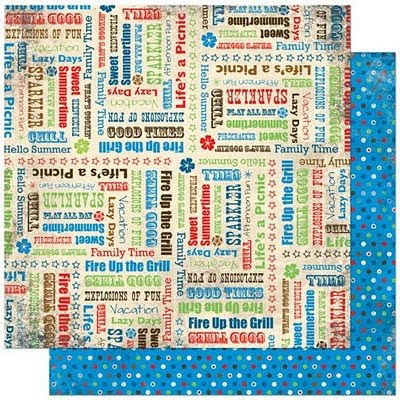 It's like the line is a little bit Hawaii (or insert other favorite tropical island), a little bit rock and roll, a little bit summer camping trip, a little bit boy meets girl, and a whole lot of fun!! Block Party ROCKS! 2.) Double sided....I am crazy for anything double sided. Again...so many possibilities! 3.) Balance...good balance of very very patterned papers and more solid designs (but with super cool texture and layering). 4.) Embellies....lots of coordinating embellies make me very happy....I would just go ahead and order every single thing this line has to offer! When a line makes your heart race like this one, it's hard to find anything to "dislike." I guess I could have used a few more of those gorgeous glittery buttons!! Oh, and while the rubons worked great, they are not the kind that you can easily tell if they have "rubbed on". Have you had the pleasure of working with this line? What have you made? What plans to you have for all this wonderfulness??? Leave a comment here by midnight EST on Tuesday to be entered to win a Bo Bunny prize!! WA HOO!! Love the bright colors! You rocked the projects! I like the Note Worthy Party Notes. I always love Bo Bunny. They have fabulous embellishments and great patterns. Your examples are wonderful. I love, love, love this line. I love the colors. And stars are my favorite. I love stars, and this collection has tons of them. It looks so fun. I would definitely use a lot of it with my two boys layouts. Thanks for a chance to win. The line and your creations are fabulous! I'm a huge Bo Bunny fan but I haven't had the chance to buy any of this line yet. I'd love it to make pages for my little boy! great colors! 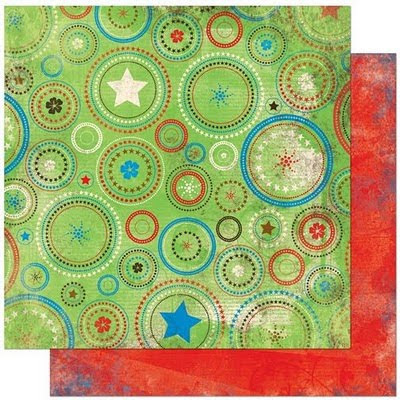 That green star/circle paper is calling me - thanks for a chance to win. Wow those colors would make me want to just have crafting party.. I actually need to make cards for donation and how awesome would this collection be to Use. Great collection! I love Bo Bunny. Bo Bunny is my all-time favourite line. They keep coming out with new winners IMHO! LOVE this!! I really like the mini book you created--what a good idea!! It all looks so fun and happy. What fantastic projects shared today! This line would be perfect for some pictures I have sitting on my desk that I have been waiting to find paper for! WOW--great projects! I really like that accordion book! Super fun:) Thanks for the chance ti win! This line looks so versatile! 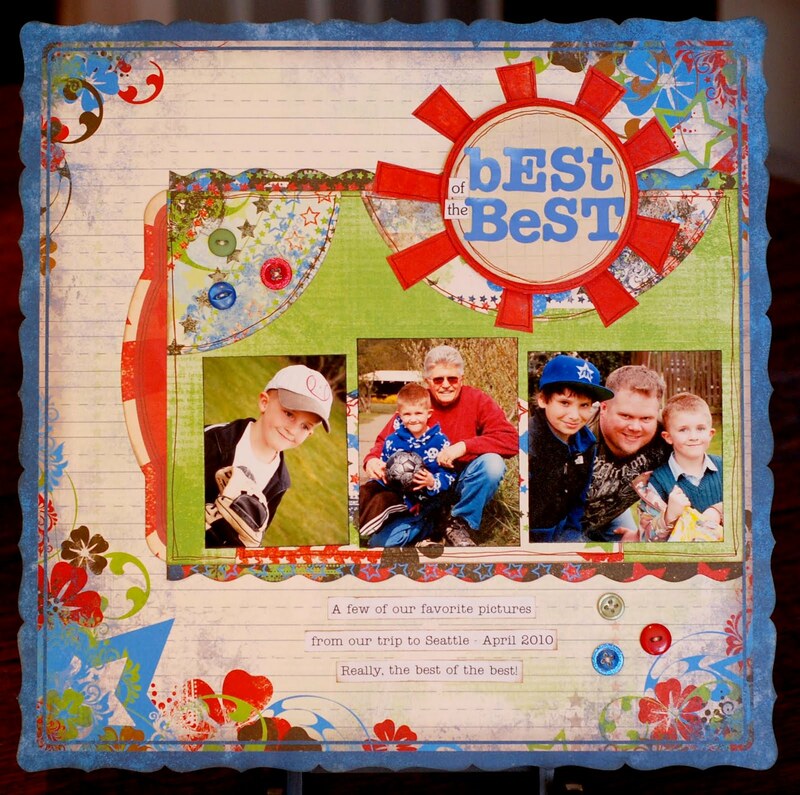 I have 2 boys and I can see this product showing up on many projects and layouts! Of the new Bo Bunny lines, this one is BY FAR my favorite!! I have it on pre-order at my fave store and am eagerly awaiting it's arrival. I didn't order all the embellies since that gets kinda pricey and it's really hard to see some things on-line. I love your projects!! Love this and love how they're doing notecards to go with the papers! That is a gorgeous line. So fun to look at. 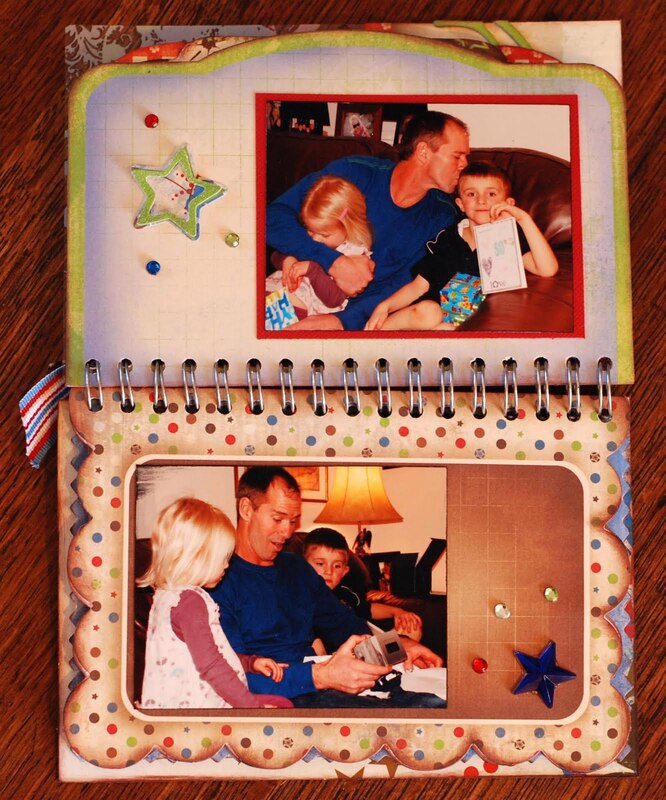 Loved your projects and what a fun idea to make a book. Very clever. This is going to be a must have! have not worked with this line but I love how Bo Bunny has made it so easy to make mini albums with their product lines. I would love this to make an album for my daughter who is going on a trip with some friends after graduation. 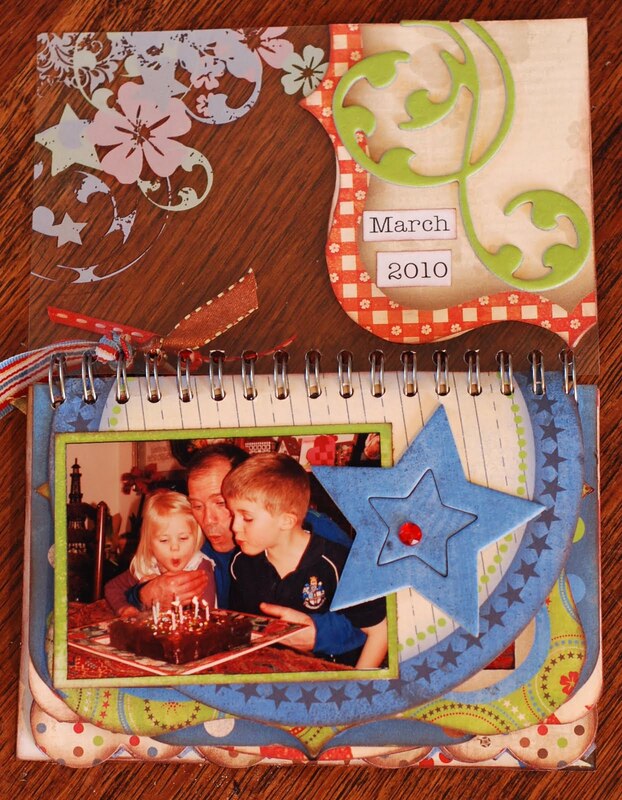 Great collection of papers and embellishments! Should like to try some of these! These are great "boy" colors in general, but also for specific themed events. These are great "boy" colors, but also nice for specific themed events. Love this new line... and I hope everyone else does. We will have it in store by Thurs, May 27th as well as the other 3 new lines from Bo Bunny. Super excited.... wish it would show up early and surprise us all. I can see LOs for the beach, circus, parties, walking the boardwalk, etc. I hadn't seen this line yet but i'm with you. I LOVE, LOVE, LOVE IT. It captures me as no other has lately. Perfect for all those summer pictures. I love the colors! Definitely summer! I love Bo Bunny! This line looks just perfect for all of the summer pics i am about to take. Love the colours! 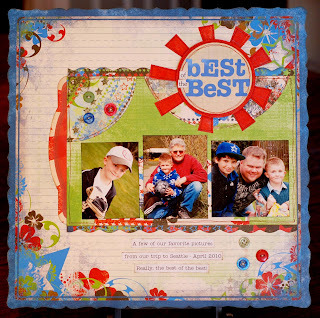 I am gravitating more and more to bright colours in my scrapbooking so I love this! What a fun & cheery collection. I love all the projects you've put together - you have been busy! I love this Bo Bunny line and your projects really show it off! Can't wait to get some of this! Cute! Love your minibook, especially. 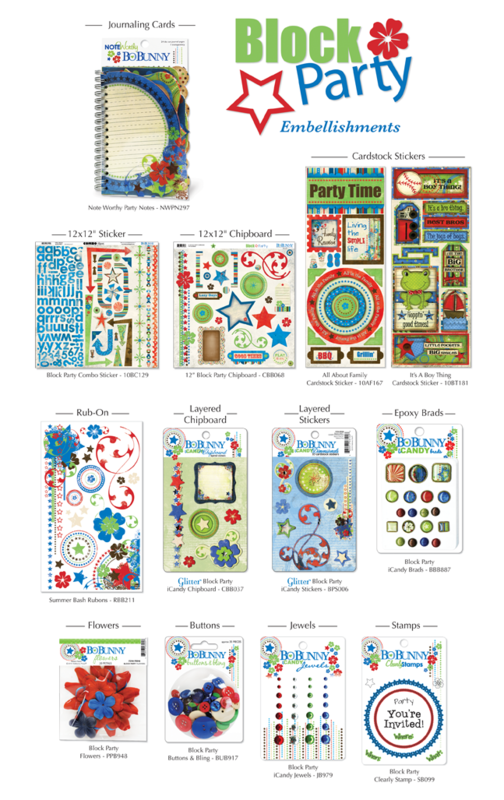 We just had a block party last weekend and some of these goodies would be perfect for those pages (when I can get them done). I have not had the pleasure of working with this line, but I would like to use it as a twist to scrap some 4th of July photos! OMG!!!! I love BoBunny products and this line is AWESOME!!!! 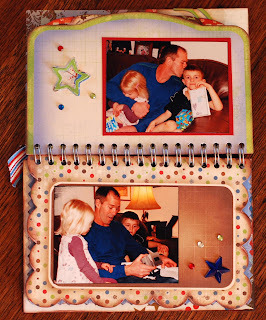 I loved how you made the minibook with the binder of journal sheets. Very Clever! I would love to get this line and use it for last summer's vacation to Mystic, Conn. This would be great to use on pages for my son! Love the colors. Oh my gosh, I love how vibrant the colors are in this line! 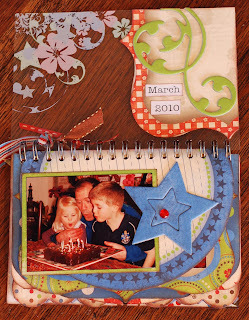 Your page and projects are wonderful...I can't wait to try this line...maybe I can win some! Just in time for Memorial Day and 4th of July projects! yippiee! Bo Bunny just does not disappoint! 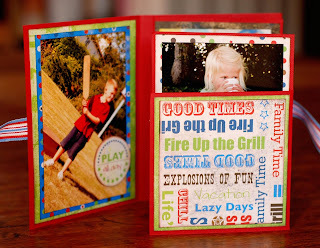 I love their papers and stickers - and this new line looks so fun! I must say, I'm not always a Bo Bunny fan, but I really like this line. Great colors and lots of energy! I love this line! I keep falling in love with all the lines BoBunny has been releasing lately! 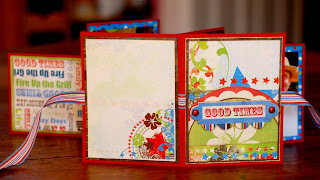 I love the colors and think the journaling cards look fabulous! Love the bright colors - so summer-y! I love the versatility of this line, too. The colors are bright but deep and rich too. What beautiful colors! :) It's so bright and cheery - how could you not like it? I am always happy to come across a line that looks great with boys, girls, and really ANYONE. Sunning colors and just fun all around. Great projects posted. I want to try that mini out of the note book!! Bo Bunny is far and away my FAVORITE line!! Your projects rocked!! Just seeing this line has me excited for summer picnics and 4th of July!! I love the colors, so fun and upbeat. This would be great to use for father son pages and as well as men / boy pages in general. I love the mini notebook. LOVE how you used this line!! Fab, fun line! Thx for sharing! Love the colours in this line. Great projects! OOOH!! I love it! I love the brightness and vivid colors! Great work on that book! Love all those bright colors. This line is perfect to use for my three boys. This line is wonderful. The colors are so bright. Love it. I have this on pre order and am just chompin at the bit waiting for it!! WOOT WOOT Bo Bunny rocked this one and I soo agree with you boy lines are hard to come by thats why this mom of 2 boys snatched it up as soon as I saw it! You did such fabulous stuff with this line! I love the bright fun colors! Lots of possibilities I think. These papers just scream fourth of july to me, perfect for outdoor photos. Red, white and blue are my favorite color combinations, I even have my kitchen done in those colors. I love the bright papers of BoBunny and this line doesn't disappoint. I love what you did with it. I like all the bright colors and the notes! Love your LOs! Thanks for the love ladies!! Love the line. Is very boy friendly. The colors and patterns are great. I can't comment on all the projects made since a red x appeared but the ones I saw were fantastic. Thanks so much for the chance to win. Gotta love BoBunny! I like what you did with all your projects. 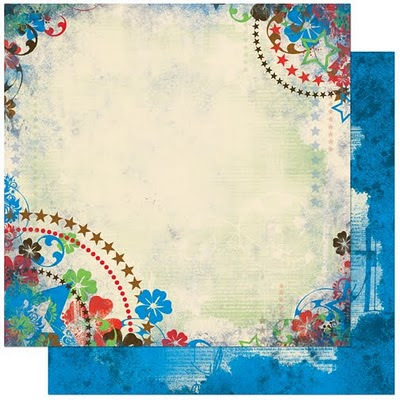 I would love to use this for some summery layouts. I love this line. 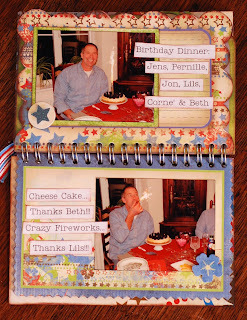 I would use it for invitations to our 4th of July BBQ and my grandkids summer scrapbook pages. I love the stars and the brads...oh my goodness I love it all. Thanks for the chance to win. wa hoo indeed. love it. I haven't made anything with this line but I did get to see it upclose a couple of weeks ago. My LSS had the paperline for us to checkout and we all loved it! love everything you did with it! such bright and happy colors! Very cute, you made some lovely projects! I'd love to have some of this to play with, though I think my favorite mid season release from Bobunny was Peacock Lane. They sure are wowing me, though, they have probably climbed 5-7 ranks in the list of my favorite paper companies in the last couple years. Now in the top 5! I love the colors and all the special products that coordinate with the papers. To be honest, I wasn't that taken by the Bo Bunny until I saw what you did with it, I love how you used it, that first layout is amazing and makes me wanna rush out and buy!! Wow! This line is so me I can't believe it! So many of my scrapping friends are quiet, pastel, minimalist scrappers, and there is nothing wrong with that but they just don't get me! Whereas I just go berserk for stuff that is bright, loud and out there. Go Bo Bunny ! This line is superb! These colors and designs are awesome and would make some beautiful projects!! 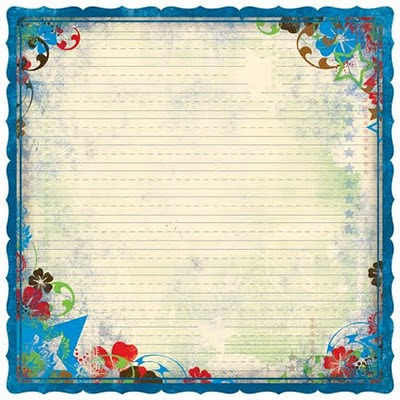 Yes, I have used Bo Bunny papers for scrapbooking. LOVE Bo Bunny and this line is no different. Very cute samples of what to do with it too. Thanks for the chance to win!!! I just love BoBunny's products! The have this great layered look built right into them. To me, this line screams "summer carnivals." I'll use it to scrap pictures of carousel rides, boardwalk shopping, and ferris wheels! Love it! My son is going to the National BSA Jamboree this summer. This would be the perfect paper line! LOVE Bo BUnny! They have the best designs! Love how they are go gender friendly! 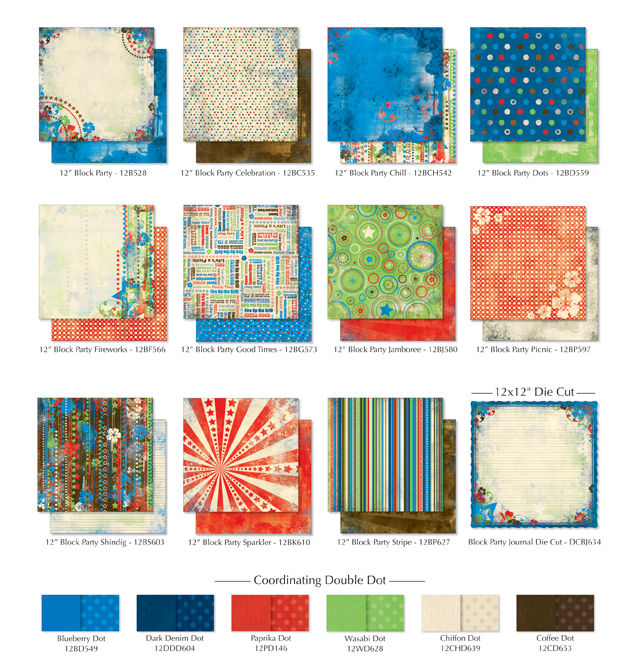 You certainly showed great ideas with Bo Bunny's Block Party collection! It's a pity I have to wait a loooong time before I can find Bo Bunny goodies where I live. Thanks for a chance to win the giveaway. I'm in love!!! This is the cutest stuff ever!! Crossing my fingers and toes to win!! Oh my - I could just GUSH!! This line is gorgeous! Love the colors, love the embellies, love that you're giving us a chance to WIN! I love love love the journaling notebook. wonderful! love what you did with it! I haven't had the chance to work with this yet since it's en route to my local scrapbook store right now. I am so excited about this collection from Bo Bunny! I love that it's great for summer and for my boys. This line looks fun, I could certainly use it to scrap the costume party my son was at over March Break! Maybe for the BBQ we have every summer too! I love the bright colors! Beautiful. I love what you did with the paper pack, what a good idea! Love the combination of colors for this paperline and love love those embellishments! What a great line! Imagine all the summer photos you could have fun with. This is a great line - gorgeous colors, versatile for guys, 4th of July, summer vacations, lots of embellies to go with it. I love the gorgeous projects you made - great inspiration! Love all the projects you made especially the birthday book! 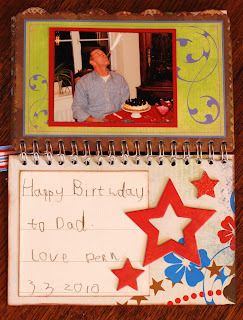 I love the colors, double sided paper and what a beautiful Birth Day book. BoBunny made a terrific kit and your projects show off the verisitily wonderfully. Great projects. I love this line from Bo Bunny and I'm glad you took time to share some crafty ideas on how to use the papers. I'm typically not a red and blue product type of girl, but this line just screams awesome! I'm inspired to create some summery pages now! thanks! I always love Bo Bunny! Your mini books are great! I think these papers would be perfect for my nephew's birthday. I've been struggling with boyish layouts since my son was born almost a year ago, these look great for that! Wow, what a great line!!! Bo Bunny is on the top 10 favs of mine!! I love how they coordinate all the embellishments and everything just goes together! Your projects are beautiful!!! LOVE this line!! I want to get some for my son's LOs. Great projects you made!! Oh, Annie!! All of your projects make my heart go pitter patter! Just gorgeous! I LOVE IT!!! I purchased a few pieces of it but I have not used it yet! Those are awesome projects! Oh I love this line, I haven't been able to use it yet but I see many uses for it in the future. Bright, bold colors... LOVE IT! Oh this a must have on my list. I love BO Bunny! Gorgeous projects too. So fantastic! Love this line. Our neighborhood has a 4th of July block party. It would be perfect for it! i love this from bo bunny, as usual. Great unizex color palatte! Wow! What a fun collection! LOVE the colours! I agree, nothing to dislike with this collection! Ohhh...I need this line! I LOVE the mini-album you made with the journaling book. Brillant! I am totally scraplifting that!